Here are some pictures from my Instagram last month. 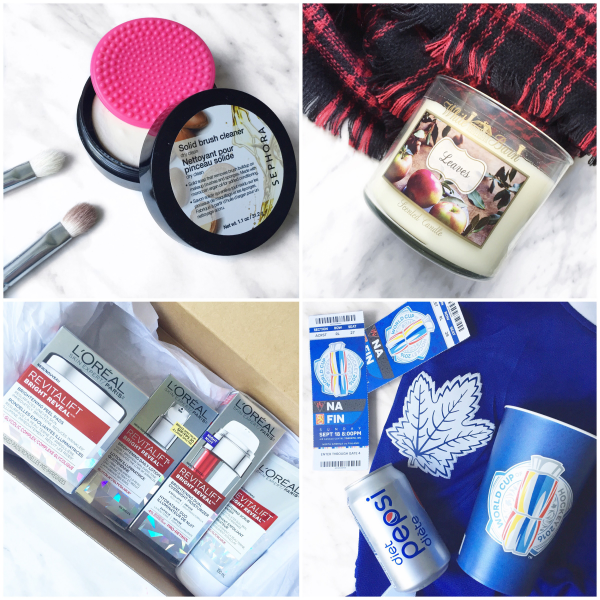 I've been focusing on growing my account and I feel like it goes a lot slower for me than a lot of other bloggers. I don't want to compare myself, because I hate that slippery path. It can just be aggravating when you put so much of your time into something and you don't make the progress you're striving for. 1. September brings darker colors. Yes, please! // 2. 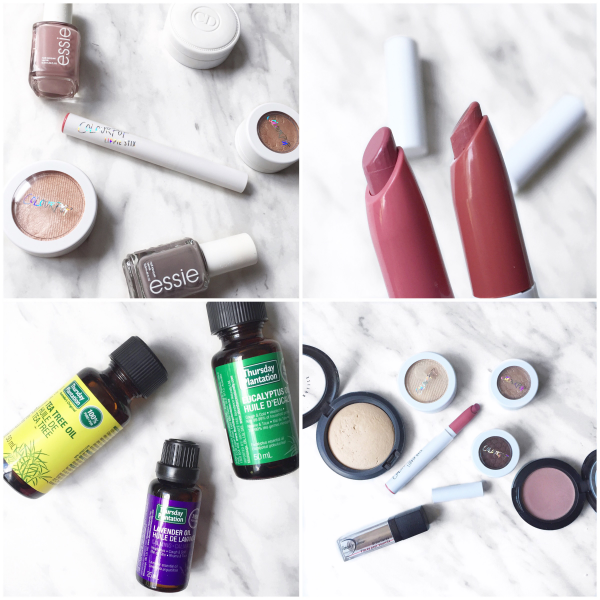 August favorites. 3. ColourPop highlighters are full of YES. (Smokin' Whistles and Lunch Money) // 4. Panera cinnamon roll and Starbucks PSL. Fall is here! 5. I'm a sucker for white packaging. // 6. ColourPop Lippie Stix in Contempo and Cami. 7. Thursday Plantation essential oils. Post is coming! // 8. Weekends are the best. 9. Sephora's Brush Cleaner is my new fave way to clean my brushes. // 10. Fall essentials. 11. L'Oreal Revitalift. Post is coming! // 12. I won a cool contest through Pepsi to go to the World Cup of Hockey North America vs. Finland game. I got to sit in awesome padded reclining seats while enjoying food and the game. Even got on the Jumbotron! I chronicled all of it on my Snapchat. 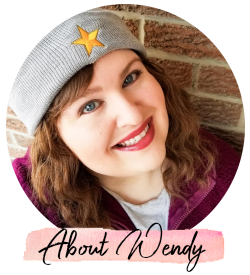 To keep up with other every day happenings, you can find me as "wendybanner" on there! 13. 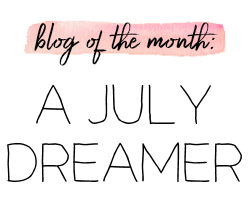 This blog turned nine! // 14. Blog planning. 15. My favorite shelf on my beauty bookshelf. (The others need help and lots of it right now.) // 16. My mom has sworn by this powder for as long as I can remember and now it's a mainstay in my collection. It makes me think of her and it is an excellent powder! 17. 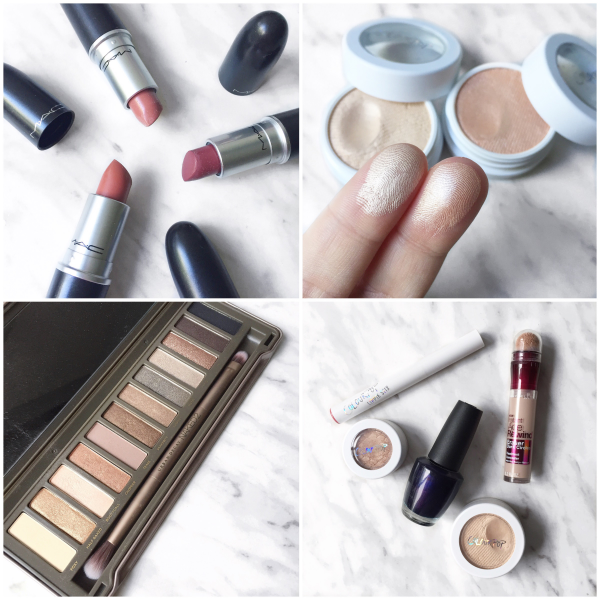 Favorite fall MAC lipsticks: Patisserie, Capricious, and Velvet Teddy. // 18. ColourPop highlighters! 19. My most neglected palette. So sad. What is yours? I don't even think I've ever swatched it on here. I'll have to do that! // 20. 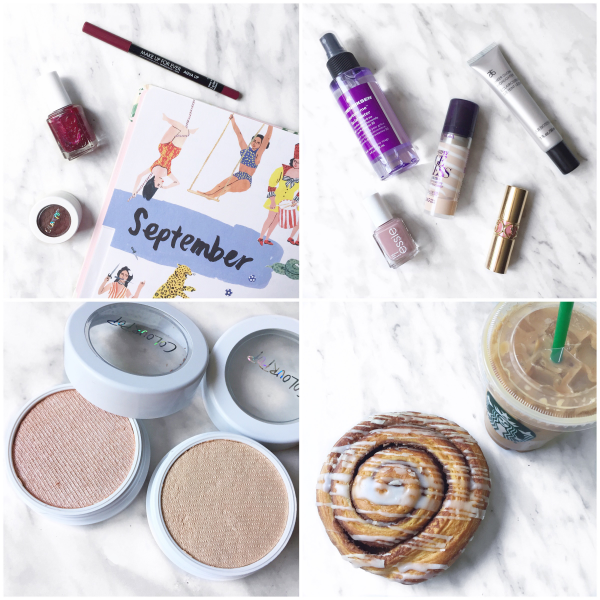 September faves! Which I think is cheating now that I think about it. Pretty sure I shared this Oct. 2nd. Oops! And that's that! 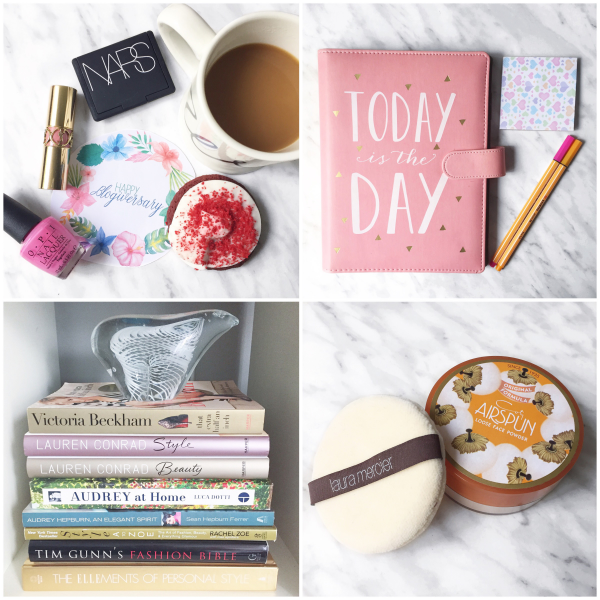 Are we following each other on Instagram? We should! Hope you're all having a great week so far.